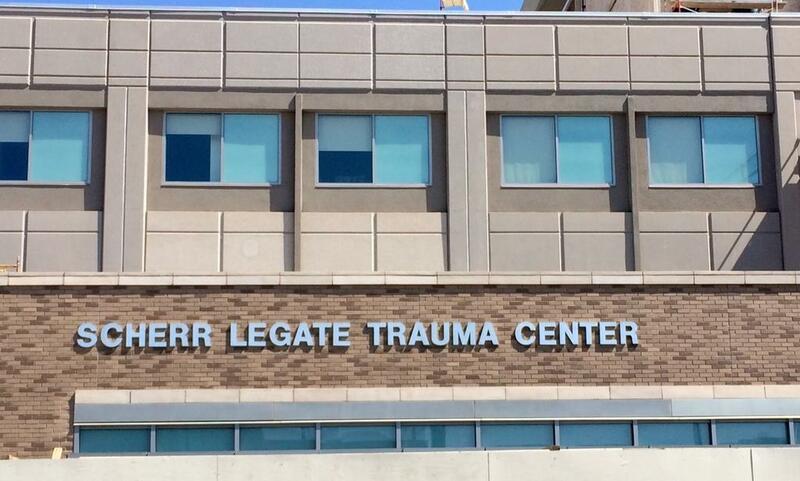 Attorneys James F. Scherr and Sam Legate, made a $1 million dollar gift in early 2014 to name the UMC Level 1 Trauma Center, now known as the Scherr Legate Trauma Center. The gift will be used for medical equipment and surgical instrumentation. A third generation El Pasoan, Jim cites his grandfather as a visionary who believed in the future of this community enough to purchase large tracts of land that included Fabens and significant areas of the Upper Valley. Jim has served three terms on City Council and is a successful trial lawyer who has tried more than 200 cases. Born in Austin, El Paso resident, Sam Legate, has been recognized as a Texas Super Lawyer every year since 2006. As a member of the Board of Directors of the El Paso Downtown Management District since 1977, Sam is dedicated to his service as a former member of El Paso County Hospital District Board and Founding Director of El Paso Children's Hospital Board since 2007, serving as chairman from 2008 to the present. Sam and his wife, Barbara, both were instrumental in establishing the El Paso Children's Hospital. A collaborative gift effort by the entire Scherr Legate Firm, most of the attorneys were born and raised in the El Paso area and appreciate its culture and diversity and understand El Paso's unique border community. Providing the highest level response for the major trauma patient 24/7, a cohesive medical team of physicians, nurses, technicians, therapists and ancillary staff expeditiously attend to the trauma patient who is evaluated, resuscitated and treated. As many as 15 members can make up a clinical team in one trauma room. Maintaining a full-range of specialities and resources such as trauma surgery, orthopedic services, energency medicine, neurosurgey, oral-maxillofacial surgery, ophthalmology, obstetrical and gynecological surgery, and more. Operating within both the Texas trauma system and New Mexico trauma system which involves coordination of trauma care delivery among other trauma centers, EMS agencies, and state and local government agencies. The American Trauma Society notes how dire is the first hour after a patient's injury - known as "the golden hour" - because it is the most critical time for the determination as to whether the patient will live or die.